Chevrolet announced that the Cruze Sedan will be complemented with the Cruze HatchBack and the new hatchback will be unveiled at the Paris Auto Show end of this month. So far in 2010, Cruze tops the compact sedan sales charts in many of the larger European markets including Denmark, Germany, Switzerland, Italy, Spain, Portugal and the U.K., where it is exceeding forecasted sales. And with hatchback, Chevrolet for sure aims to keep the sales momentum going. A show car version of Chevrolet's compact contender will be seen for the first time at the Paris Motor Show, on September 30. It will be one of four world Chevrolet premieres at the show. 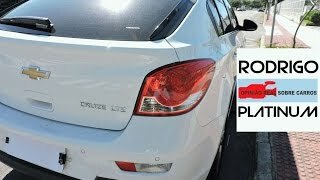 With the introduction of the new Cruze hatchback, customers have an alternative body style to the traditional sedan and Chevrolet has raised the bar again with a vehicle that brings new levels of value against some of the more established competition. According to Wayne Brannon, president and managing director of Chevrolet Europe, the potential for meeting further customer demand is significant. 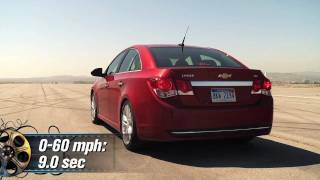 "Cruze is turning out to be a real success story. We are selling it in 70 countries around the world and it has recently surpassed the Aveo as our top selling passenger car nameplate globally. Since its launch in the spring 2009, the Cruze sedan has been warmly welcomed by markets all over the world, greeted as a step change for the brand with customers attracted to its coupe style, build quality, 5-star NCAP rating and driving dynamics. It was also elected the AUTOBEST car of 2010 by a jury of leading auto writers in Central and Eastern Europe. 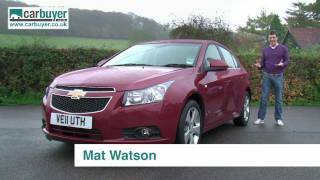 The Chevrolet Cruze is a car particularly well suited to European driver tastes, a fact borne out by sales success across many of markets. So far in 2010, Cruze tops the compact sedan sales charts in many of the larger European markets including Denmark, Germany, Switzerland, Italy, Spain, Portugal and the U.K., where it is exceeding forecasted sales. Outside of Europe, Cruze's sales momentum is equally evident. 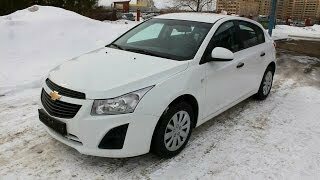 In China alone, Chevrolet has sold nearly 90,000 Cruze since the start of the year, while the sedan is also selling well in Russia, parts of South America, and in India and other emerging markets. With its attractive sweeping coupe roofline and short overhangs at both the front and rear, the new Cruze hatchback has the same dynamic 'stance' as the sedan and will be instantly recognizable. It will benefit too from the same taut body 'feel' on the road, being built using the new body-frame integral system (BFI) which is complemented by the final tuning to chassis components. The BFI system results in high levels of stability and solidity. 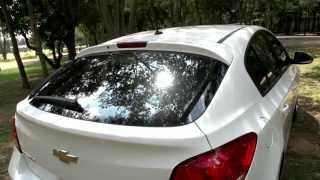 Cargo capacity for the Cruze hatchback is close to 400 liters and will feature 60/40 split rear seating. Chevrolet's participation in the World Touring Car Championship with the Cruze is also currently paying great dividends. With four races left in the season, it currently leads both the drivers' and team championships while also showcasing the dynamic qualities of the car to great effect.